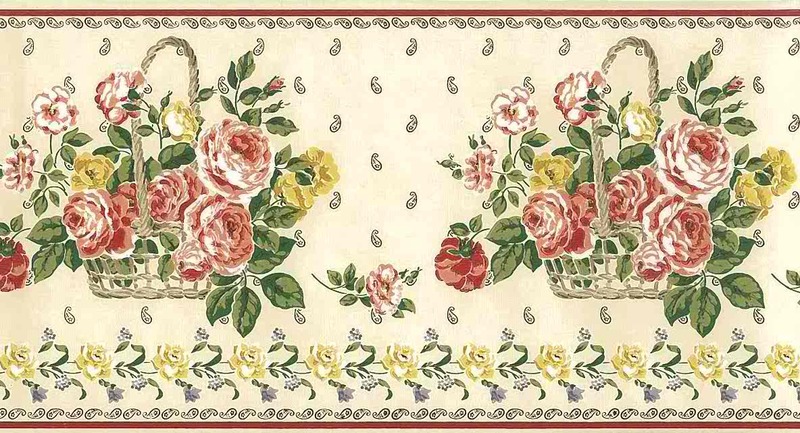 Paisley peonies vintage wallpaper border. Red, Pink and White peonies, Yellow flowers, Green leaves in a Beige Gray basket. On a Cream background with random Black paisley pattern designs. Red lines and Black paisley design on top and bottom edges. Bottom edge has Yellow and Blue flowers with Green leaves. Cottage style.